Currently, our interface with the digital realm surpasses human connections. Along with User Experience, UI is a medium through which we communicate with software applications and IT systems. Hence, it is essential to develop a superlative UI, which is user-friendly and offers seamlessly user engagement. Further, a carefully crafted UI design enables users to effortlessly access various features and appreciate the functionality. A good user experience emphasizes on making the user’s interaction simple, not to mention intuitive and engaging. Designers need careful planning to understand the user’s business needs to deliver determinate results. User experience is about what, whom, who, how, where and why we use this system or a product, it is about two things user and experience. Throughout the day, we interact with countless objects starting with a toothbrush, coffee cup, mobile phones, computers, etc. Now the trend is of mutual communication, it is the process to define how we relate to the objects every day. The important aspect is “Who is using the product, services or system and Why?” User experience is how you perceive everyday interaction, you have with what is in front of you and the moment you are using it. The purpose of user experience is to make users happy about their experiences and encourage them to use and capture physical and psychological responses. IoT (Internet of things), Augmented Reality and Machine Learning are the evolution and extension of the human behavior. A good user experience improves satisfaction and earns customer loyalty. Satisfied customers are more likely to come back again to your brand, buy more and renew subscriptions. Obviously, this results in savings and increased revenue. Brands now realize that CX-First approach is the key to success and innovation. What is Essential for a Great UI? Intuitive — Provide simple navigation between screens, offer apparent and logical process for visitors to follow. The interface should transform from mere browsing to engaging. Restrain — Avoid cluttering the screens with all the information, crowded screens that are difficult to navigate. Grab the visitor’s attention without information overload. Content — Decrease your bounce rate by using clearly worded messages and labels to reduce the time it takes to find relevant information. Simplification — Group things appropriately by simplifying information and enhancing site structure. Group tabs and labels to bring out related messages at the right time. Consistent — Avoid chaos by maintaining standard color, placing of tabs and how they operate. Precise — Avoid symbolism, ensure that the graphics and language are appropriate to the targeted audience and enhance readability. Restrict — Avoid distractions and refrain from using excessive movement and flashing lights. UX Design — What was once considered a luxury, is now a key to success. Imagine all the poorly designed solutions you have used at work. Sluggish expense reporting apps, employee management tools, data-heavy CRM apps. In B2B applications, User experience design has always been neglected and took a back seat. UX design is still a new discipline in enterprises, but it is here to stay and thrive. Experiencing design is a culture that has helped a lot of enterprises to succeed and disrupt the tech space. According to Forbes, if you offer a better user experience, you can boost your user retention. You can do so with as little as 5% of your investment and get rewarded with a 25% increase in profits. Enterprises can no longer treat UI as a lesser priority. Employees want their business apps to work as smoothly as Facebook, Twitter, etc. Today, the adoption of enterprise mobility is on the rise. However, organizations pay little or no attention in designing mobile apps that provide a great mobile user experience. Enterprise mobility users want regular app updates and bug fix for their corporate mobile applications. Keeping this into consideration, mobile app developers should utilize built-in monitoring and analytic data to recognize and fix technical snags proactively, just as the social app developers do. Designing UI and mapping out UX is not an easy feat in the mobile application development process. The nature of mobile devices poses several challenges: varying keyboard layouts, smaller displays, and handset designs. Also, the short attention span of mobile users, to name a few. How do you pull the user in and keep them engaged with a simple yet effective interface? What do you want your user’s experience to be, and how do you accomplish that? These are some of the challenges that need to be addressed on priority. At Evoke Technologies, we are committed to helping more businesses like yours discover how much they stand to gain from going mobile. We learn the ins and outs of your work to pinpoint where mobile application development services can make a measurable difference. We provide custom-designed mobility solutions that provide seamless integration with your existing enterprise system and a maximum of value for your IT investments. And we stand ready to support your newly mobile enterprise management with dedicated mobile app developers. Contact Evoke now at (937) 660-4923 to learn more about how we can equip you to transform mobility services. 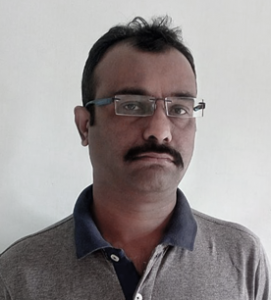 Kanak Kumar is a senior technical associate at Evoke Technologies. He is associated with Evoke’s mobility team and responsible for defining and designing UX/UI interface for both mobile and web platforms. Kanak is extremely passionate about crafting seamless end-user experiences.